May is here and there is much excitement in camp as we build up to opening later this month. 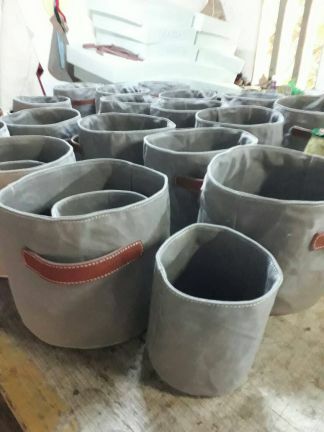 Staff are ready to put down their building tools and pick up their waiting trays, oven gloves and binoculars and welcome guests back into camp. We will have official photos soon but here is a little taste of what the new Lion Camp looks like. Our new canvas and thatch luxury tents are beautiful. 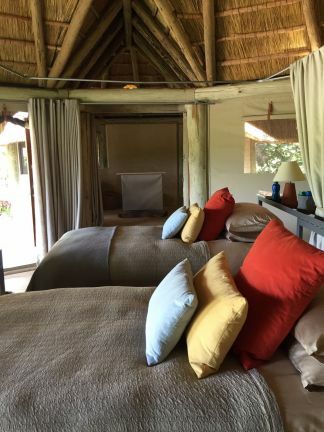 The whole front of the tent opens out during the day to look out on a private deck and the oxbow lagoon beyond. 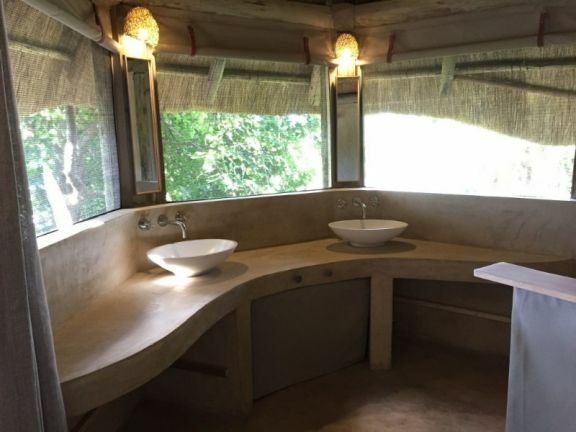 The new en-suite bathrooms offer privacy as well as great views of the bush. The colour schemes are stunning and the softs luxurious. Of all the finishings my personal favourite is the new artwork in each tent. 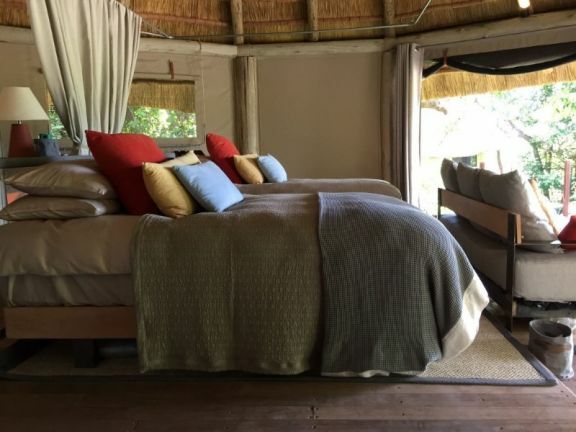 Artist and designer Polly Hosp has done an amazing job of bringing the colours and beauty of the Luangwa Valley to the inside of each luxury tent. 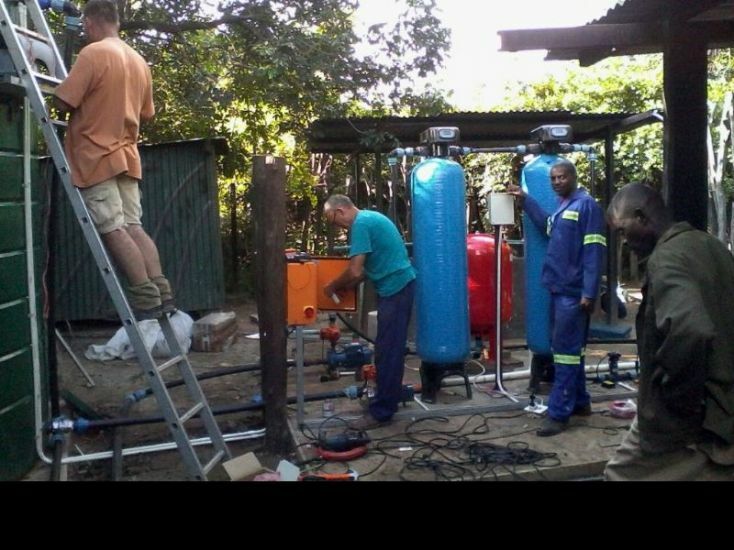 As I write, our water filtration experts are installing a new system which will ensure crystal clear water throughout the camp and our interiors crew are putting the finishing touches in place. 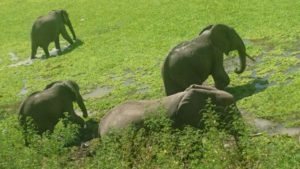 The Luangwa River is higher than usual for this time of year and the oxbow lagoon in front of camp is full. For the elephants it’s a perfect place to take a bath and for our staff watching the elephants from camp is a perfect excuse for a well-earned break. We have also had a number of lions visiting camp this month. They have been heard roaring in the night and seen mating in the day so hopefully we will have some new cubs in 3 months time. The lions were also recently sighted on a buffalo kill just outside camp. 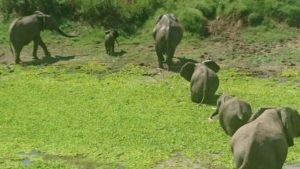 We’ve posted a video of this sighting on our Facebook page if you’d like to take a look https://web.facebook.com/LionCampSafari. Lion Camp is pleased to welcome Wayne and Vicky Nel as our new lodge managers. 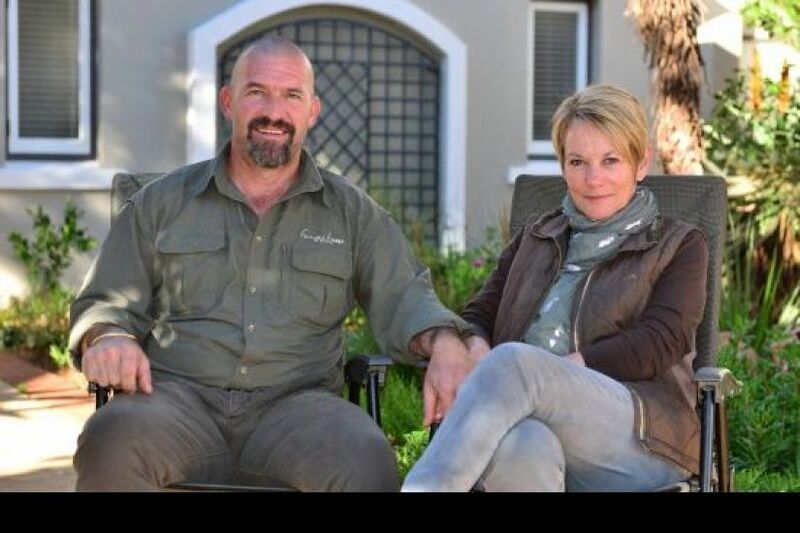 Wayne and Vicky have been working in the safari and tourism industry for 24 years. They joined Mantis in 2011 launching the Zambezi Queen, a set of 4 luxury houseboats on the Chobe River. They have since been involved in several Mantis development projects culminating in the new Lion Camp.